Larchmont Rotary Club invited as observers. Rye Rotary meets weekly at Whitby Castle. Lunch meetings are on Fridays at 12:00 pm, except for the first Thursday of every month when we meet at 6:00 pm for dinner. Rotary Club of Rye, New York, Inc.
President Manheimer called the meeting to order. Member of the Board of Helping Hands for the Homeless and Hungry. President, Treasurer, and Trustee of Community Synagogue. Janet’s professional experience includes being the Office Manager for the Westchester Region of Hadassah with overall responsibility for running the regional office of this world-wide charitable organization and serving the 6,000 members across Westchester, Bronx, and Greenwich. She has also been the Office Manager for The Mayfair Organization of The New York United Hospital with overall responsibility for running the office of this fundraising arm for the hospital. She was a key member of the event planning committee for the annual Mayfair Day at Playland that raised $100,000 annually. 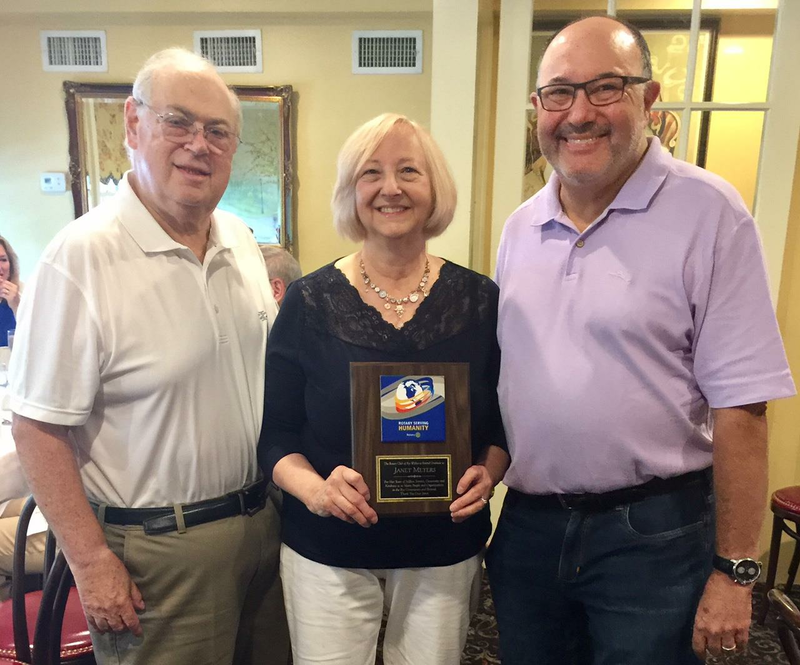 Janet’s dedication to giving back to the community mirrors what Rotary values and stands for and we honored her this morning by presenting her with the 2017 Community Service Award. Sara is the Chairperson of the Rye Sustainability committee She addressed the club and reacquainted us with Rye Sustainability, its purposes, and accomplishments. We discussed how the Rye community can support their efforts. Thank you Sara! For the balance of the summer we will be having breakfasts here at Ruby’s every other Friday. Our next breakfast is on July 7th. Presidentt Manheimer called the meeting to order. With Angela’s help Bob Manheimer is completing a draft of a strategic plan that will be presented to our Board members to get their input and suggestions. A Board meeting is to be scheduled for Tuesday evening, July 18th at 5:30pm at Bob's home to present the plan. them. As is the case with many other Rotary clubs, we must look at how we can, not only sustain, but grow our own club over the next few years. Additional initiatives are necessary and Bob and Angela have pursued specific suggestions for consideration. The plan that Bob will present is not only for his year as president but also for Angela’s year as president. That is why Bob and Angela have been working together on this with the intention that initiatives can be built upon in third year that follows and beyond. Our next breakfast is on July 21st. Incorporating any revisions made during the Board meeting on the 18th, Bob will present and discuss the final strategic plan at this breakfast meeting. Also, the Larchmont Rotarian Club has been invited to join us for breakfast on the 21st. 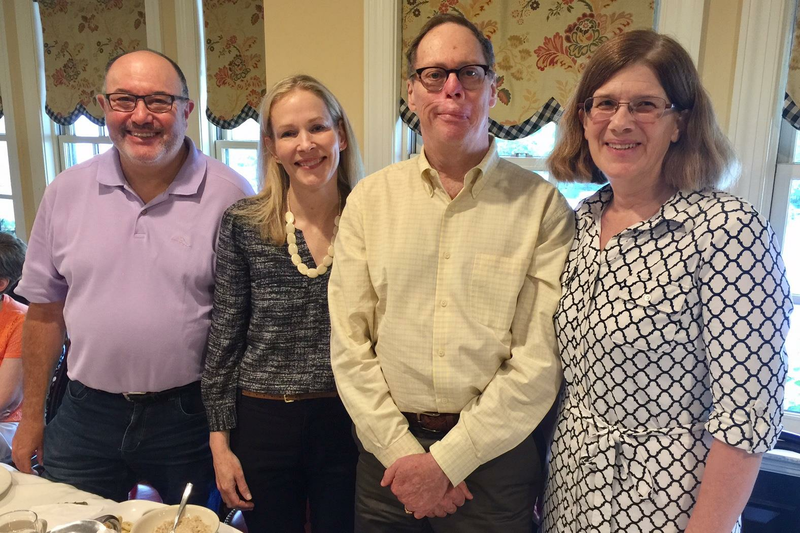 Larchmont is one of the Rotary clubs facing the same challenges as we are. Lora Hugelmeyer has told them that we are finalizing a strategic plan and they are very interested in observing and understanding our approach. There is so much competition for our donations and our member's time. The members present spoke what charities and services they personally support and why. This information was helpful to appreciate as we move to complete the strategic plan. Bob Manheimer, along with Melanie, encourage all to update your profile with the information you wish to share. Also, we have the ability to add links for needed information. Anyone can add this information and Bob offered his guidance to those who wish to do this function. He encourages all of us to participate and be aware of all the functions Clubrunner has for our use.